Our paper in Nature can be found here. How neurons and nervous systems evolved is an old question that has recently been reignited as advances in phylogenomics help to resolve animal relationships. While some phylogenetic nodes are still hotly debated, such as whether ctenophores or sponges are the sister group to the remaining animals, we are gaining a better understanding of relationships within the Bilateria. No longer are we just comparing the ventral nerve cords of Drosophila and C. elegans with the dorsal nerve cord of vertebrates. We can now also add in the diverse nervous systems brachiopods (lampshells), nemerteans (ribbon worms), rotifers, and the extreme variation of the Xenacoelomorpha. These are just the animals in our lab. When we combine it with the work done in other labs on hemichordates, annelids, platyhelminthes, and others, we can get a much better understanding of how nervous systems evolved and are patterned. This paper came together as a fusion of two separate projects going on in the lab, one initiated by myself, and other by Chema Martin-Duran. I started working on nervous system patterning and development in acoels, nemertodermatids, and Xenoturbella, a group of morphologically “simple” worms that are the sister group of the rest of the Bilateria. Within this group there is a huge variety of nervous systems, ranging from just a nerve net to up to five pairs of nerve cords. 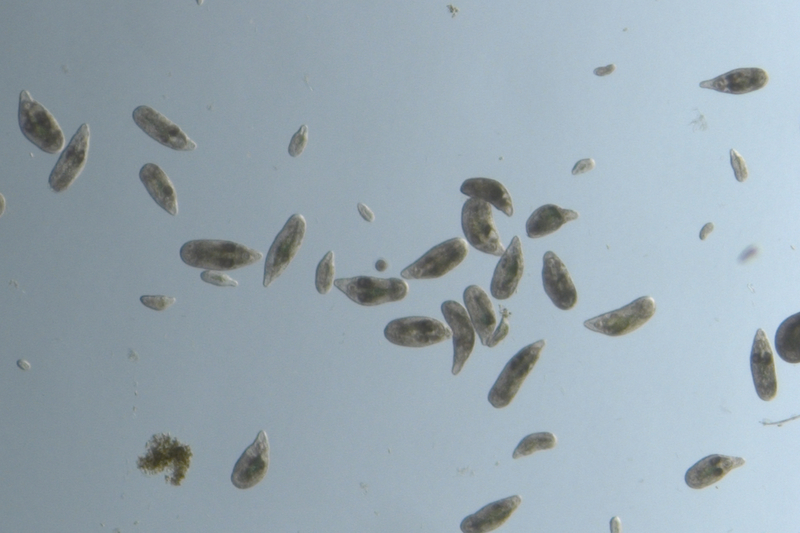 Isodiametra pulchra feeding on diatoms. Our main study animals were the acoel, Isodiametra pulchra, which is cultured in the lab, and the nemertodermatid, Meara stichopi, which we are able to collect year round from the beautiful, yet often cold and rainy, fjords of Bergen, Norway where we work. Meara are collected from the foreguts of the sea cucumber, Parastichopus tremulus. Over the years, many sea cucumbers sacrificed their lives for this work. Over the years, many more hours were spent picking out tiny worms from the dissected guts of these dead sea cucumbers. Other Xenacoelomorph species were collected from the fjords of Kristineberg, Sweden with the help of Ulf Jondelius and Joie Cannon. Anlaug Furu with a nice collection of mud (and Xenacoelomorphs) from dredges in the fjord (Kristineberg, Sweden). 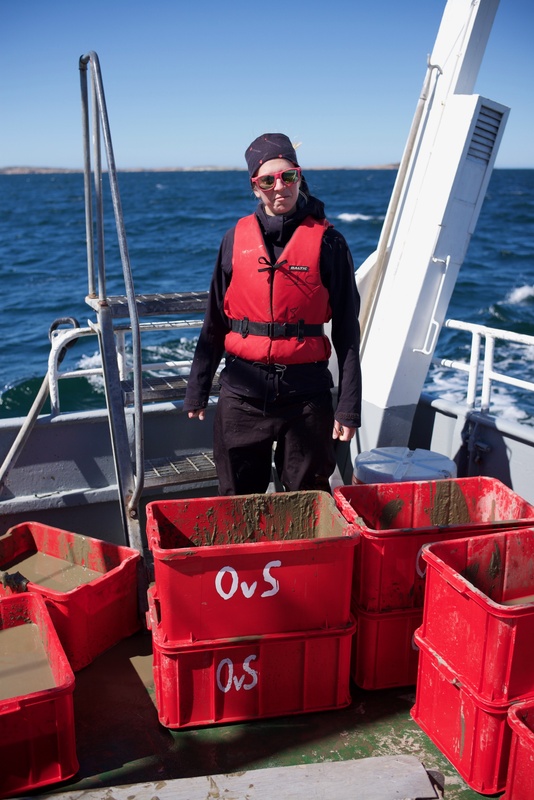 In parallel to this, Chema and visiting researcher Henrike (Semmler Le) began tackling this question from a Spiralia perspective, looking at medial-lateral patterning of nervous systems in brachiopods, rotifers, nemerteans, and annelids. This part of the project also utilized many local species, such as the nemertean, Lineus ruber, collected from the stony beach outside of Aina’s house, but also involved lots of travels, like to Friday Harbor Labs in the US to collect the brachiopod, Terebratalia transversa. In many ways, the study species were selected based on their phylogenetic position and accompanying morphology, as well as the ease of collection and culturing. 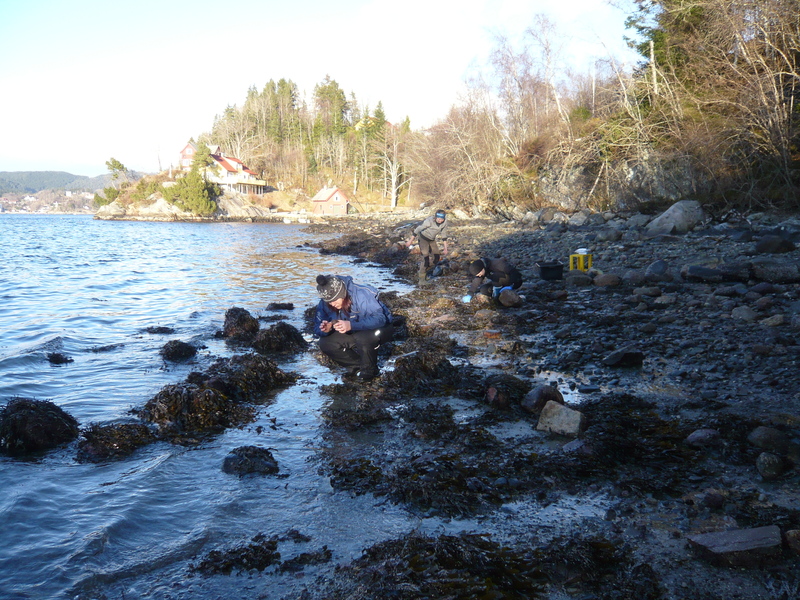 Collecting nemerteans from under the stones at Aina's beach outside of Bergen, Norway. These two projects began with slightly different emphases, but as we started to compare our results along the way, we realized that we would have a much more complete story by combining them. A synergistic approach of combining many researchers and many research animals resulted in a better overall understanding of nervous system evolution.